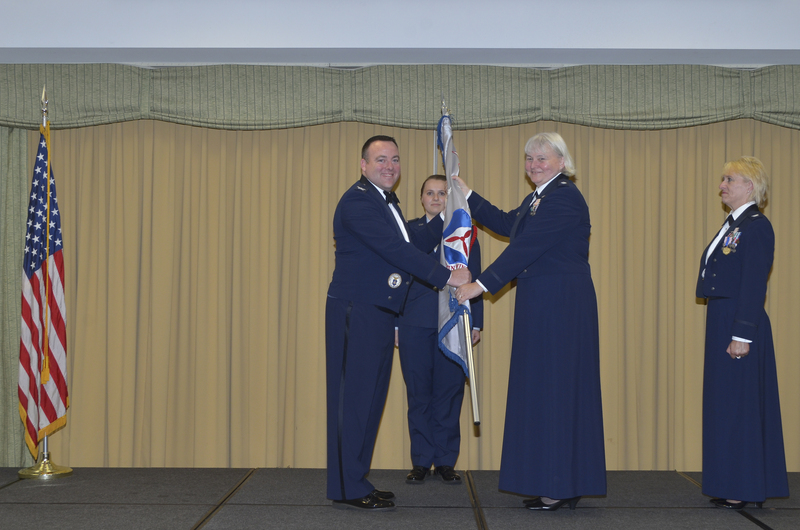 The Wisconsin Wing of the Civil Air Patrol saw its first ever transfer of command from a female Wing Commander to another female Wing Commander as Colonel Rose Hunt relinquished command of the 1,000 member wing to Colonel Denese Helgeland. The change of command occurred during the wing’s annual conference, held in Warrens, WI. Helgeland, who joined the Civil Air Patrol as a cadet, has served as the state’s Chief of Staff for Missions over the past four years. The woman to woman transfer of command was not only Wisconsin’s first such transfer, but also was the first transfer of its type anywhere in the nation. Prior to assuming the position of Wing Commander, Helgeland has held increasingly demanding roles in the organization. She served previously as the commander of a Milwaukee based unit, North Central Group Commander, Homeland Security Officer, Director of Operations, and Inspector General. Her work proved instrumental in forging new relationships between the Civil Air Patrol and other federal and state agencies. Outside of Civil Air Patrol, Helgeland volunteers at her church as well as at a primitive tree farm, and has been married to her husband, Duane, for 29 years.